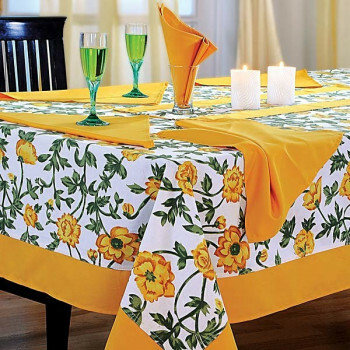 Cheerful Yellow poppy beauties fluttering and dancing in the wind, it is an absolute sight for the calming mind. 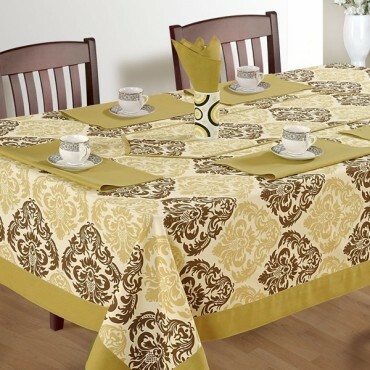 Bring endless happiness to your table setting with our yellow table linen set of premium cotton fabric. 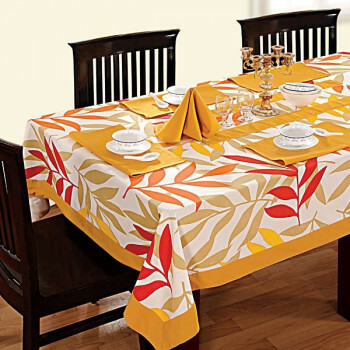 You can have your pick of either getting the existing table linen sets or creating your own mix-match from our wide collections. 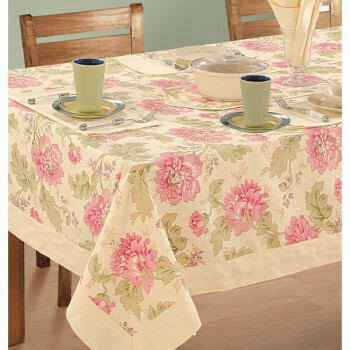 Oversized pink peony blooms in a rich cream background with delicate cream border inspired by garden, enjoy a satisfying meal set on a luxuriously coordinated table setting. 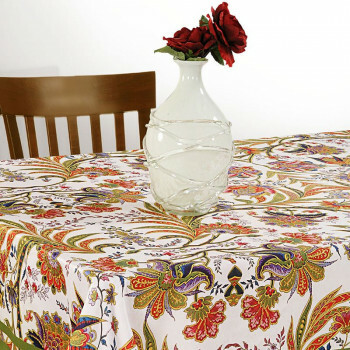 Our table linen comes in four different sizes: Small, Medium, Large and Extra large i.e. 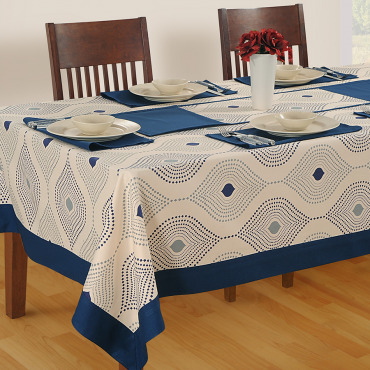 a table for 4, 6, 8 and 12 respectively. 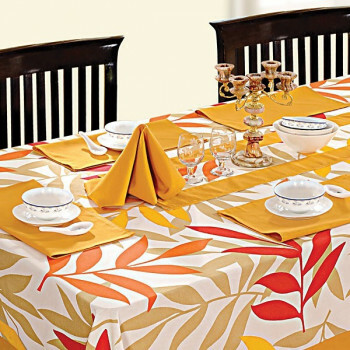 Add an air of the blissful autumn to your table with a motif of large leaves golden and ripe to fall. 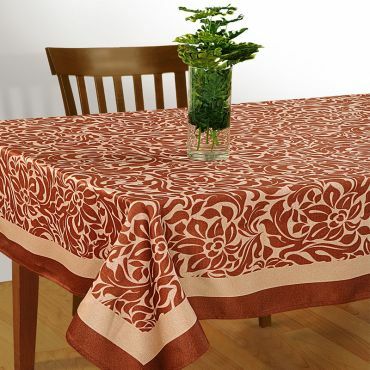 You can now enhance your settings in the most beautiful table linen crafted meticulously in rich cotton casement. 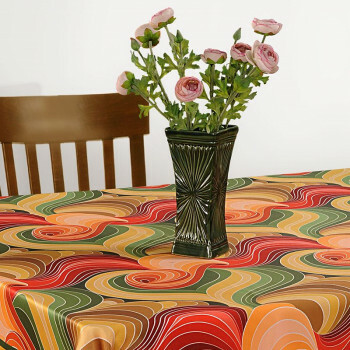 You can get diverse choice of sizes for all tables of 4, 6, 8 and 12 seating. 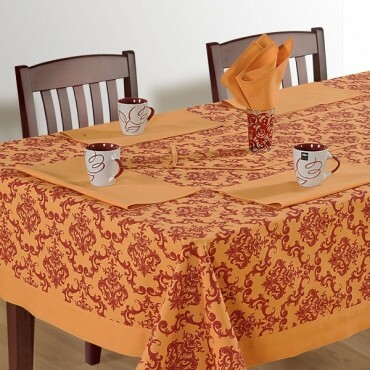 Romantically addictive, gorgeously enticing in fine casement so durable and soft, our table linen is the ultimate décor for a gorgeous and impressive table setting. 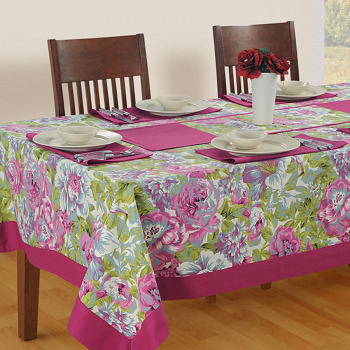 With the beautiful blooms like a garden of roses, bring to life your table settings in beautiful setups with vicious shades and designs of linens. 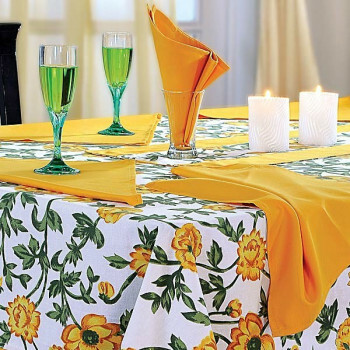 Make way for the modernized range of table linen with napkins & runners. 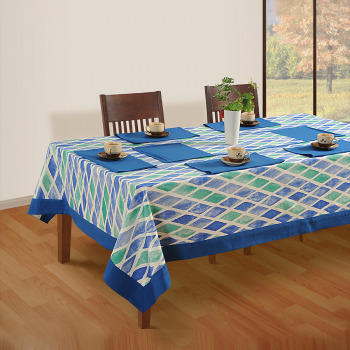 These are printed with a traditional design of blue and light green. 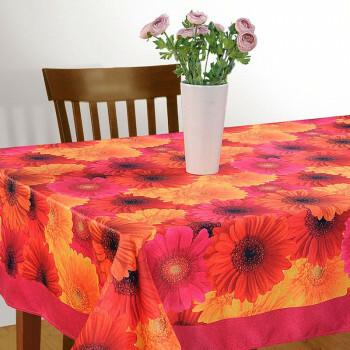 This will brighten your dining room and give you a delightful experience. 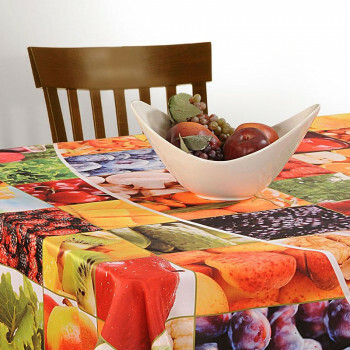 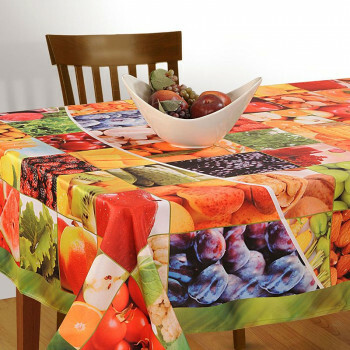 Change your old ways of dining to a contemporary level with this amazing piece of table linen. 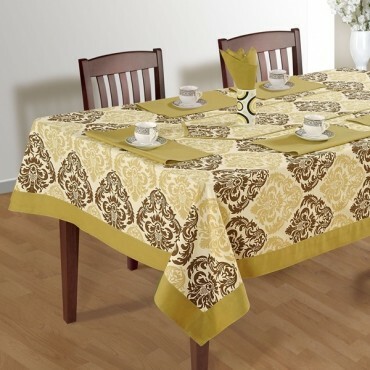 Beautiful brocades in dark olive shades and lighter shades arranged in a regular pattern let your table be clad in the ancient glory with our antique art linen. 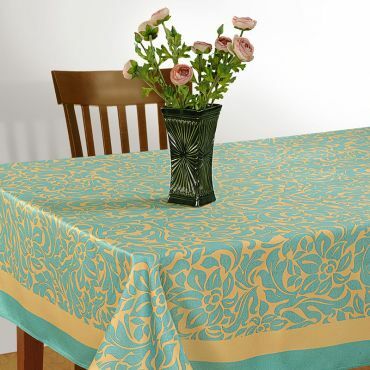 In rich casement of premium cotton that is soft and durable, it adds more quality to our beautiful antique linen. 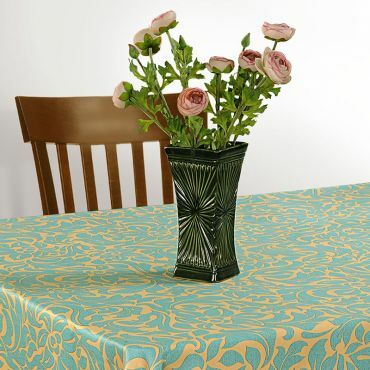 Soft and majestic in enchanting print of turquoise roses, set the irresistible table setting for a divine dining. 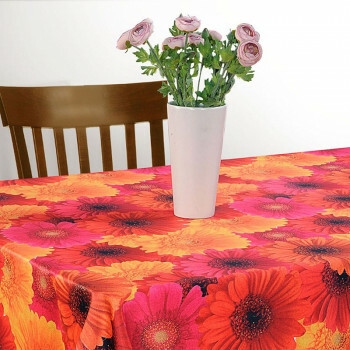 Bringing to you a full set of designer table linen in fine cotton casement, our products are easy to care and absolutely long lasting. 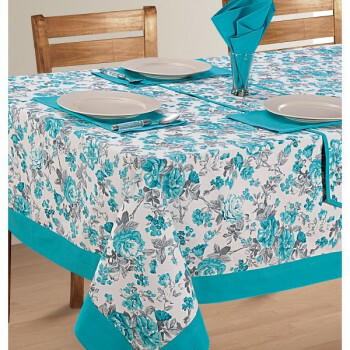 In variant sizes, we have 4 seating, 6 seating, 8 seating and 12 seating table linen with charming solid turquoise border. 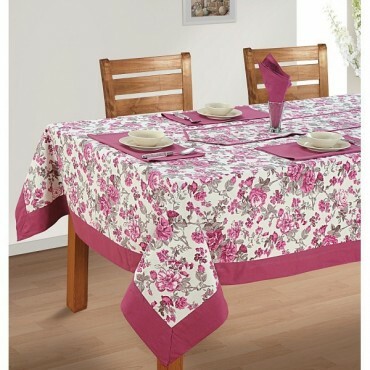 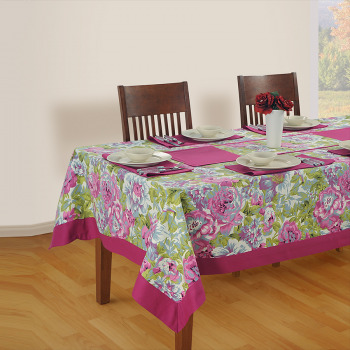 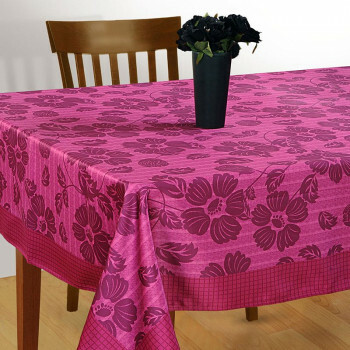 Get a feel for a rosy life in dreamy and scintillating fuchsia roses with our easy care and breezy table linen. 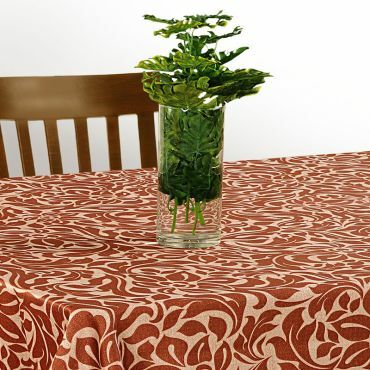 A designer table linen created in the premium cotton casement, our table linen is a luxurious indulgence. 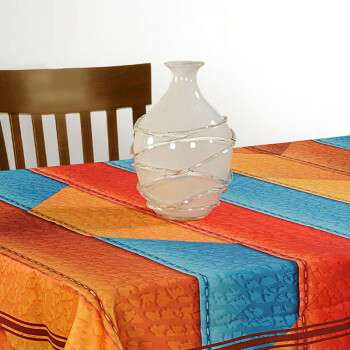 Giving you a full set of décor, you can enhance your table setting and even your lounge setting for a relaxing mood. 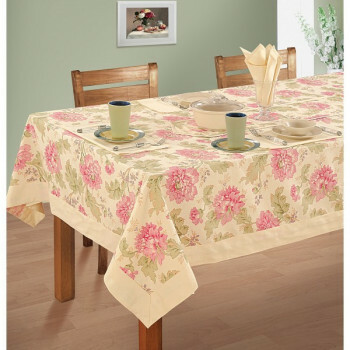 A dining room is more than just a room; it bounds you with your family. 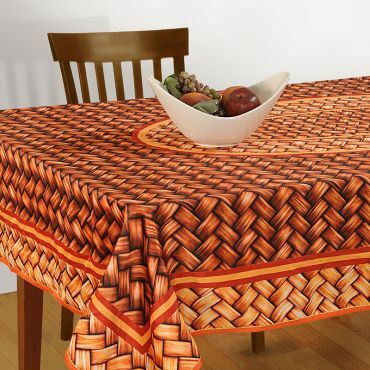 It’s not only about having a supper together but a treasured moment where all sit around with a divine love. 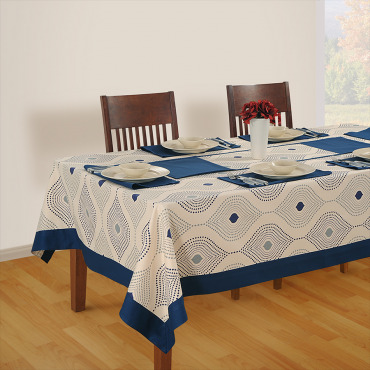 The place where all has their own seat fixed, embrace through eyes and forget all worries, there’s no need to say it’s your lovely dinette. 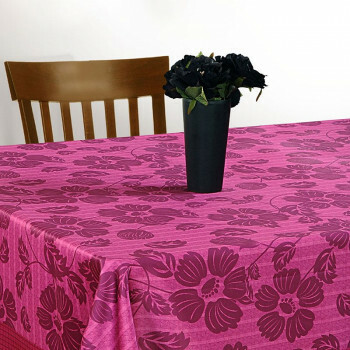 Bring the taste to life with the Printed Rectangular Table Linen by Swayam. 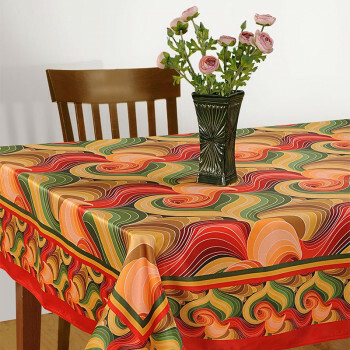 There is a plenty of designs and prints available to suffice your taste buds. 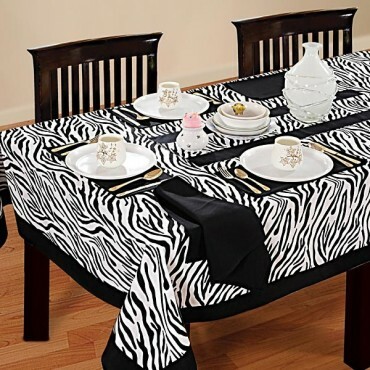 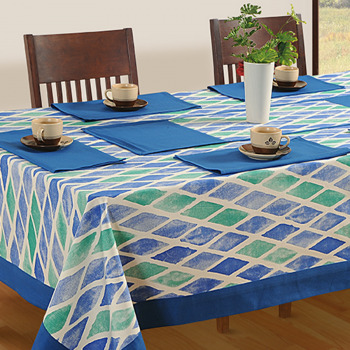 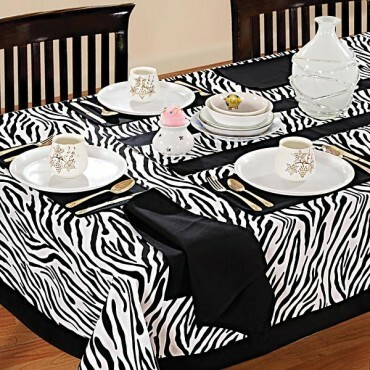 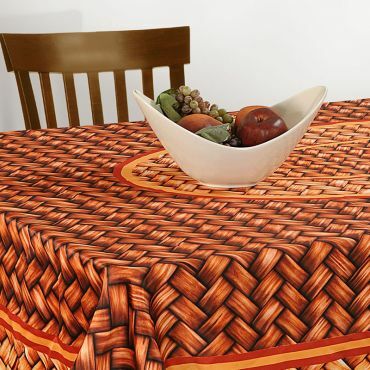 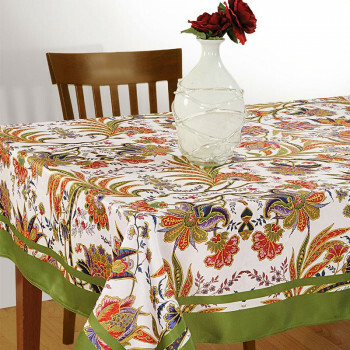 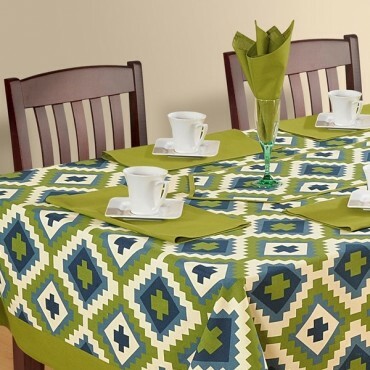 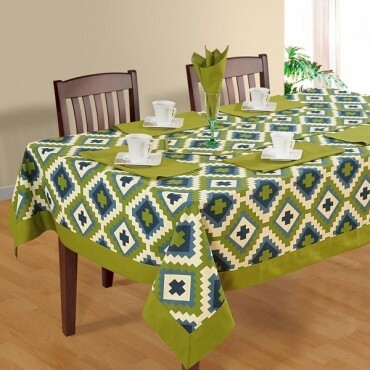 These table linen come with dinner napkins, mats and runners too depending on the requirements. 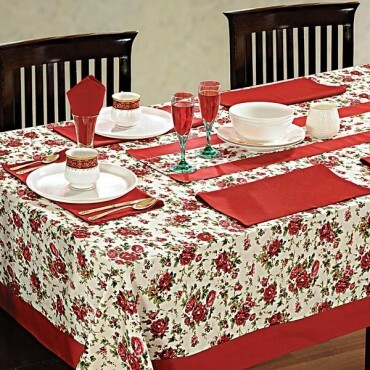 Also the size variants are ample to choose from such as 4 seater, 6 seater, 8 seater & 12 seater. 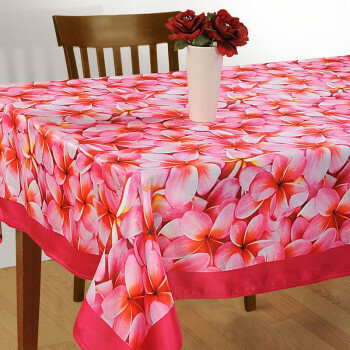 These designer table covers are specially crafted & designed for rectangular tables and are made up of premium casement cotton with high thread count. 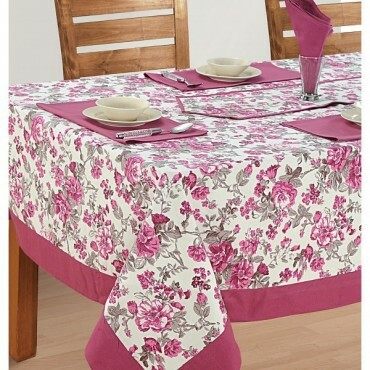 Table covers for centre table & side table are also available under this bracket. 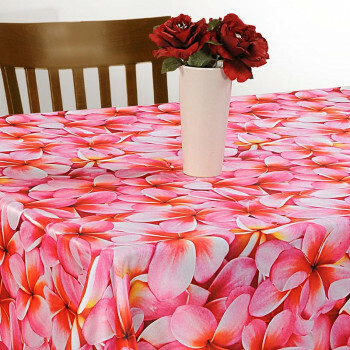 These printed rectangular table covers are 100% color fast. 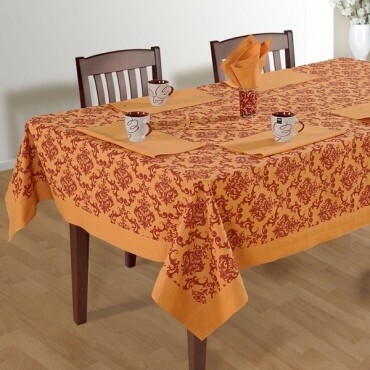 You can make your dinner table the centre of attraction & a good topic for conversation while dining, thereby getting applaud & praise for the best choice. 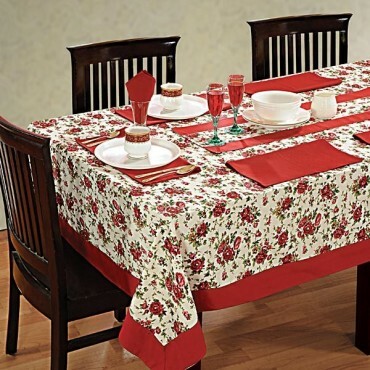 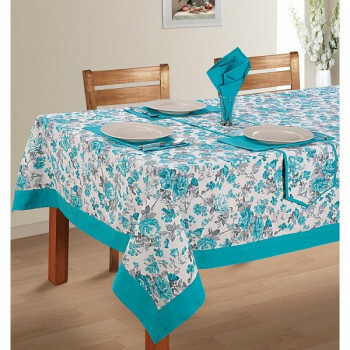 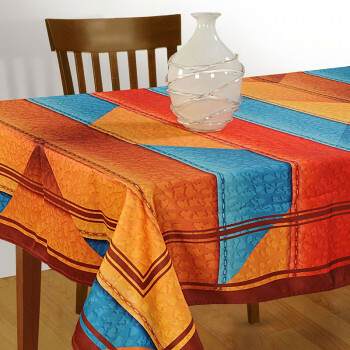 Buy Printed Rectangular Table Linen set online or place Wholesale Table Linen order at Swayam India’s online shopping portal and also at other popular online and offline stores.